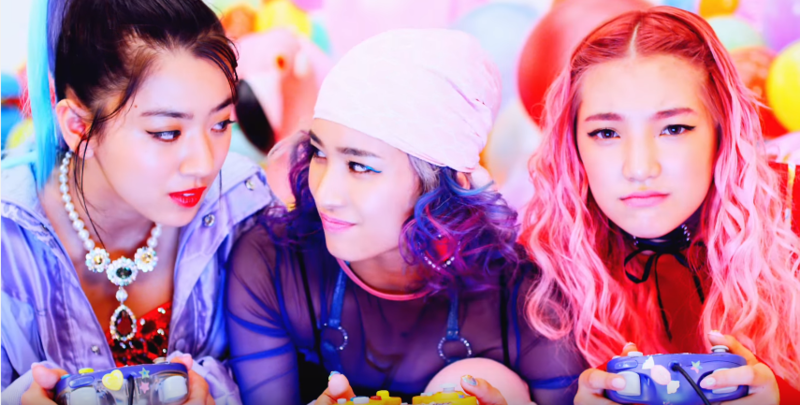 Sudannayuzuyully return to the scene after their March debut with CALL ME NOW, a Kpop inspired Jpop track filled with rap break downs, crazy 90’s styling and BRIGHT AF stages. CALL ME NOW is all about the aesthetic, as the song wouldn’t be half as exciting if it wasn’t for the visual. So much color *o*- seriously the last time I saw THIS must pastel had to be in Kyary’s PONPONPON! You Better Pick Up GG’s Call!